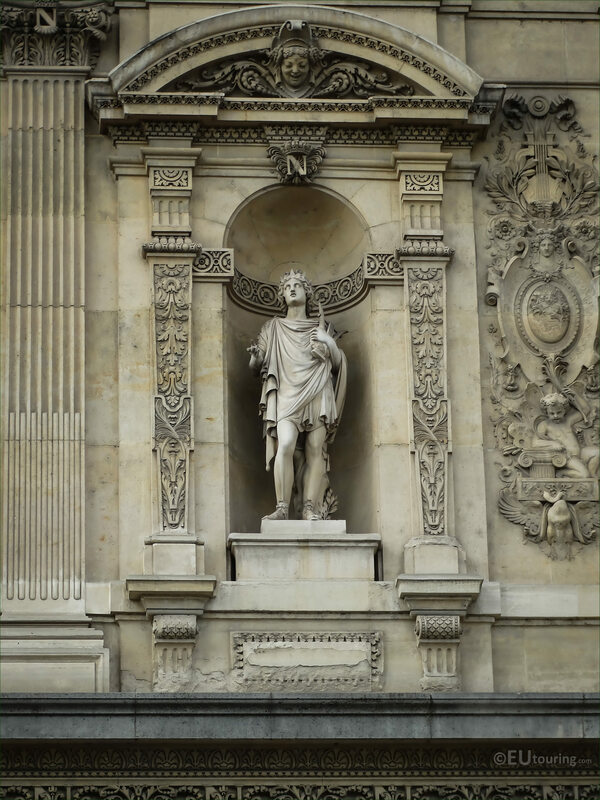 Again we were admiring the facade of the Pavillon de Tremoille, which is a part of the Musee du Louvre located in the 1st Arrondissement of Paris, when we took these high definition photos showing the statue of Apollo, the God of Music, by Jean Claude Petit. This first HD photo shows the statue of Apollo, also known as Apollon, which is located within an ornate niche on the second level of the Pavillon de Tremoile wing. And as you are looking at the facade from the River Seine side, you will find that this is the statue located on the right hand side of the left pavilion, next to the arched entrance way to the Cour du Carrousel courtyard. 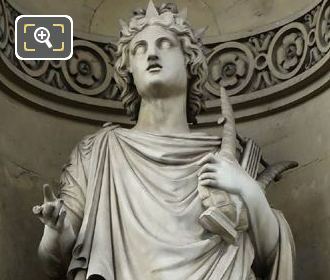 Now this statue was produced by the French sculptor Jean Claude Petit back in 1868, and it was designed to represent Apollo, who was the God of Music, which is why he is often portrayed with an ancient musical instrument called a lyre, just like you can see in this image. 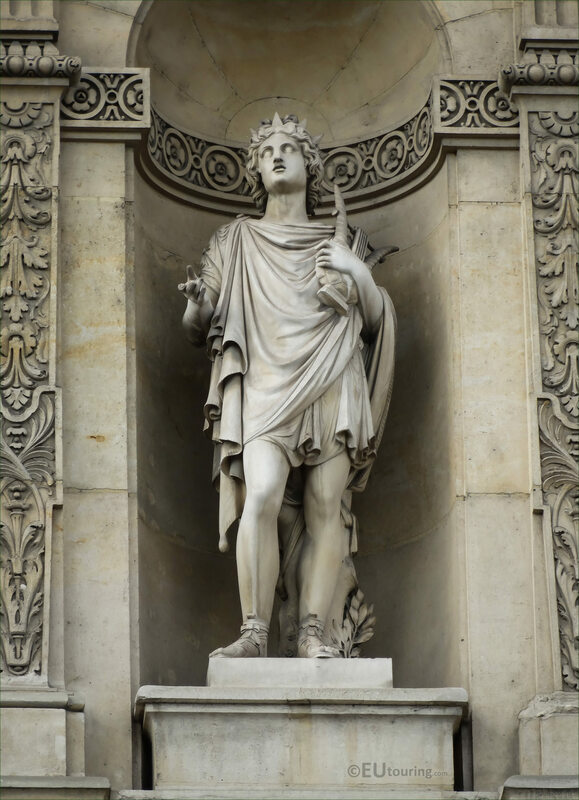 And in Greek mythology, he was the son of Zeus, but was also known as The Archer and also the God of healing and the God of Truth, although, Apollo, or Apollon which is how the name is also spelt sometimes, is most often depicted in paintings and sculptures with the lyre.